Chihuahua is the largest state by land area in Mexico, and in recent years it has suffered greatly at the hands of warring cartels and corrupt politicians. The degree and extent of the damage is hard to fathom. It will take years to mend, but it’s reasonable to assume that a shift in the political landscape could make a difference for the better. The present governor of Chihuahua is JavierCorral Jurado of the center-right National Action Party (PAN). Corral took power in 2016 after the disastrous tenure of César Duarte Jáquez from the Institutional Revolutionary Party (PRI). Duarte is now wanted by the Mexican government on corruption charges, and is believed to be hiding in Texas. The experience with Duarte could affect the presidential election. Though Corral didn’t defeat his PRI rival in 2016 by a landslide, (39% for Corral vs. 31% for the PRI candidate Enrique Serrano Escobar), the electorate is aware that when the PRI’s Enrique Peña Nieto ascended to the presidency six years ago, he ushered in an era of profligate corruption among some PRI governors, the likes of which Mexico has never seen. And those states that are the most corrupt are often also the most violent. 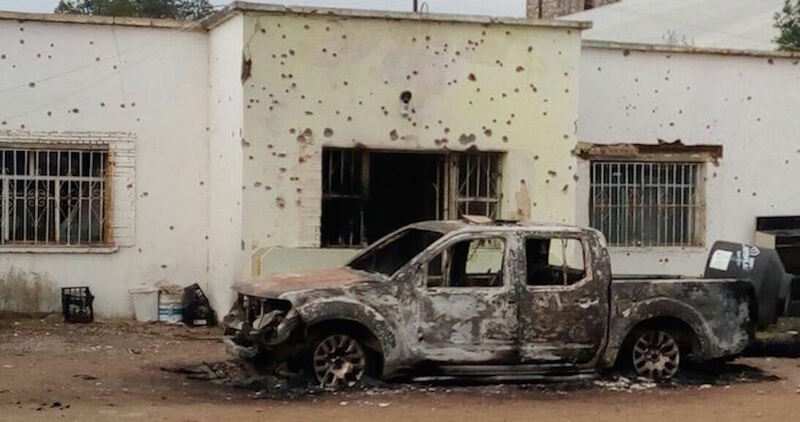 The violence in Chihuahua has had a dramatic effect on the daily lives of the people, and on the ability of the press to report on crime and hold politicians accountable. For example, Carlos Arturo Quintana, also known as El 80, is the leader of La Línea or the New Juárez Cartel and is alleged to have had great success infiltrating municipal police departments, creating a complex network of political and police protection. In 2016, Quintana wanted his mother-in-law to be mayor of the small town of Bachíniva, in western Chihuahua. She subsequently failed to win the nomination for the Institutional Revolutionary Party (PRI) due to news reports written by journalist Miroslava Breach. Ms. Breach was subsequently murdered in the state capital, also named Chihuahua, in March, 2017, in a high profile case, with Quintana believed to be the principal instigator. Last month Quintana was arrested in the municipality of Namiquipa, also in western Chihuahua, where it is alleged he helped current Mayor Ramón Enríquez Mendoza of the PRI gain power. Quintana, whose gang has been in violent conflict with the Gente Nueva gang, an offshoot of the Sinaloa Cartel, now faces charges in both Mexico and the United States. Chihuahua is one of the most dangerous places in Mexico to be a journalist. From the late 19th century until the beginning of the drug war in December, 2006, 15 journalists were murdered. As disturbing as that is, in the past 12 years the situation has deteriorated significantly, with at least 21 journalists killed. Given the population of the state, this is an astounding death rate, and is a clear indication that freedom of speech, and by association political freedom, is on its knees in Chihuahua. Journalists aren’t the only people in Chihuahua being silenced at the end of a gun. In April Luis Gutiérrez, an activist dedicated to providing food and medicine to the indigenous Rarámuri people (also known as the Tarahumara), was found dead by the side of a highway near Ciudad Madera, Chihuahua. The activist, who had also accompanied and assisted the Tarahumara during legal procedures, was shot to death when he was going to a meeting with other social activists. And politicians themselves are vulnerable. On Sunday, May 8, gunmen went on the warpath, killing eight people in what appeared to be politically motivated attacks. In Ignacio Zaragoza, northwest of the capital city, a Democratic Revolution Party (PRD) candidate for municipal council in the July 1 elections, as well as three party workers, were found dead. PRD candidate Liliana García was found in a creek bed. The other three victims were inside a construction supplies store owned by Felipe Mendoza, the PRD candidate for mayor, which had been set on fire. The store was the home of the local PRD party president, Octavio Martínez. In total, various commercial buildings, six homes, and a vehicle were set on fire. On the same day, Eduardo Aragón Caraveo, the Chihuahua leader of the Social Encounter Party (PES), was found dead in the trunk of his own car on the side of the highway running from the city of Chihuahua to Aldama. 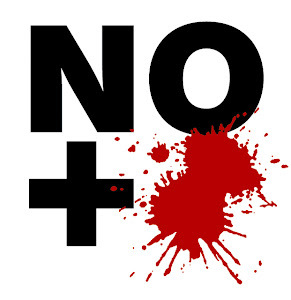 A quick take on all of this horror is that PRI candidates tend not to get killed. That’s true, and it is also true that the violence is occurring towards the borders with Sonora and Sinaloa. In some of these remote communities rival gangs are fighting for territory, and politicians who are not on the take – or who are on the take to the wrong group – are vulnerable. Some politicians are speaking out. Magda Rubio, an independent mayoral candidate in Guachochi, Chihuahua, decided in January to go to the press to publicize the fact that she’d been receiving death threats. At 42, Rubio campaigns while her four children and a husband live in hiding. Hers is a stark example of the courage required to perform what, in most countries, is relatively simple undertaking: to be a small town mayor. In response to the worsening security situation, in January the federal government launched an operation called Titan Shield in some of the nation’s hotspots, hoping to at least provide basic security. It claims that in only a few months the murder rate in the border town of Ciudad Juarez – infamous for femicides and intense intra-cartel conflict – has dropped 40%. Clearly, security will be a huge issue in the July 1 election in Chihuahua, and at the presidential level the electorate will have to consider whether it wants to continue with the same approach. This would be likely under PRI candidate José Antonio Meade, who is running as part of the “Todos por México” (All for Mexico) coalition with the PVEM and New Alliance (PANAL), and with Ricardo Anaya, who heads for the PAN-PRD coalition. The only candidate offering a change – albeit poorly defined – is Manuel López Obrador (known as AMLO) running as the head of the National Regeneration Movement (MORENA) as part of a larger coalition called Juntos Haremos Historia (Together We Make History). AMLO is the favorite to win the election, and should do well in Chihuahua, where the PRI leaders have historically run their political party like a criminal organization. AMLO will be helped too by the fact that a spotlight is being shone on how the militarized approach to law enforcement has led to human rights abuses in Chihuahua. The Inter-American Court of Human Rights is hearing a case in which the Mexican military is alleged late in 2009. to have abducted and “disappeared” three innocent people – including an 18 year old woman taken away at gunpoint and screaming in front of her young brother and infant daughter. This is an important case, given the fact that the military operate with near absolute impunity. According to an analysis by the think tank Washington Office on Latin America, or WOLA, between 2012 and 2016 just 3% of investigations into alleged crimes committed by the military have resulted in convictions. In the context of security as an election issue, it must be noted that aggressive, militarized actions like Titan Shield often show short-term success, but do nothing to help create a sustainable, well-structured approach. The result, as Mexico has seen since the drug war began late in 2006, is an endless spiral of violence and abuse of power. The government has tried to dodge the issue by saying that the vast majority of forced disappearances are the fault of criminal gangs. This is not true, given the role of police forces, particularly at the municipal level in remote communities, to do the bidding of drug cartels. Data for 2005-2015 by the Observatory on Enforced Disappearance and Impunity in Mexico found that federal, state and municipal authorities were the perpetrators 47% of the time. Bottom line? Candidates in the local elections in Chihuahua, particularly in the western part of the state, will continue to face pressure from criminal organizations. The PRI, as always, will perform well, given the depth of its political networks. But when it comes to electing a president, the vote should go to AMLO. The only risk is that the National Electoral Institute’s (INE) workers on the ground in Chihuahua might be corrupted by PRI activists, particularly in rural areas, where there is the perennial risk of ballot stuffing, vote buying, and the like.